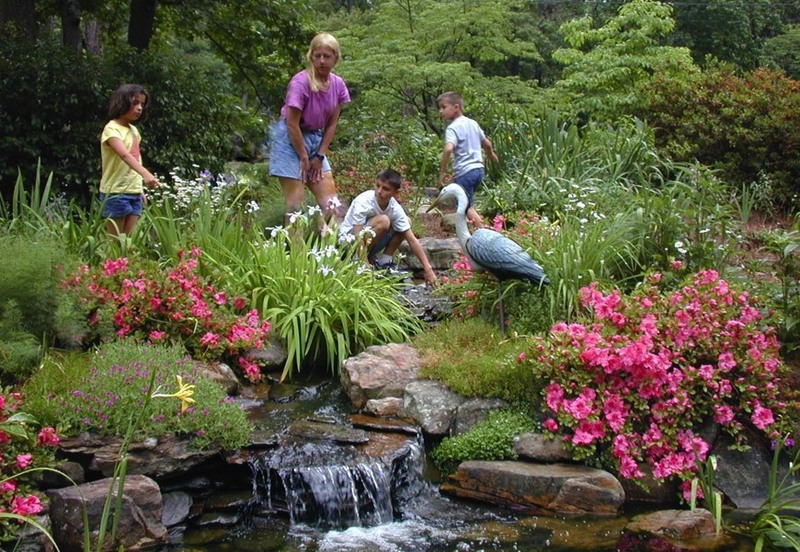 Children gardens, nature play, creating landscapes for nature play, discovery, learning & healing. 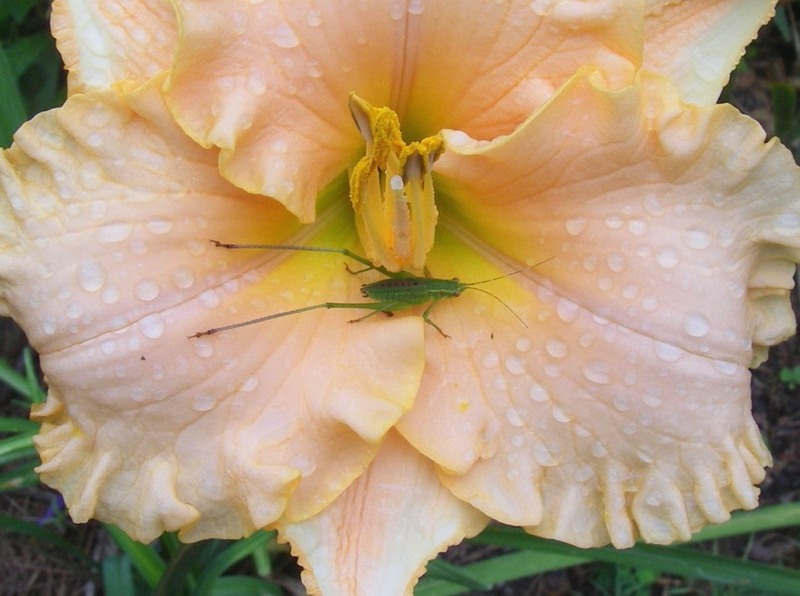 An organic sanctuary garden will provide a haven for grasshoppers, fire flies and even turtle visitors. 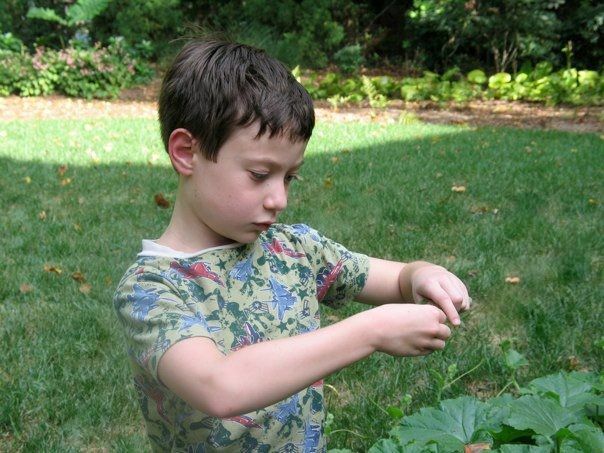 Provide a home garden design where your child can discover a butterfly chrysalis and that flowers make seeds for bird food. 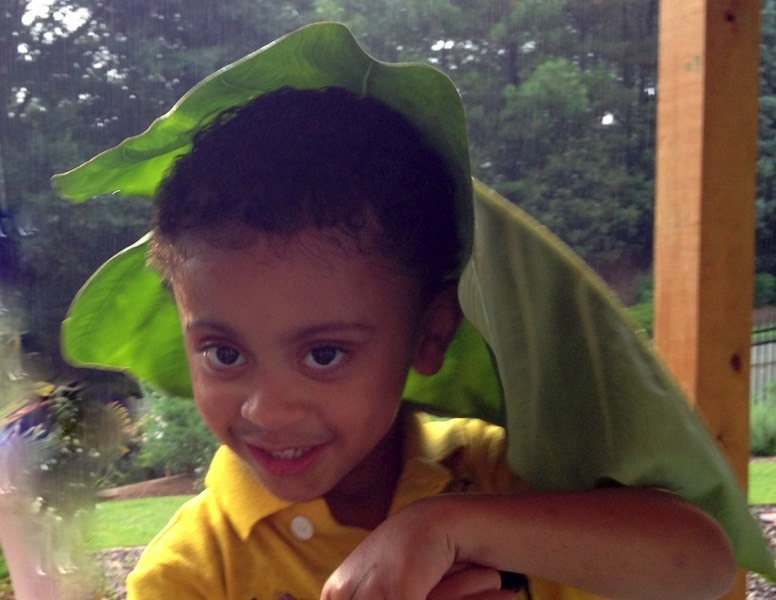 Watch the wonder and excitement of picking an elephant ear leaf to use as a perfect umbrella, running thru miscanthus grass that tickles or kicking their feet in the running water of a shallow stream. 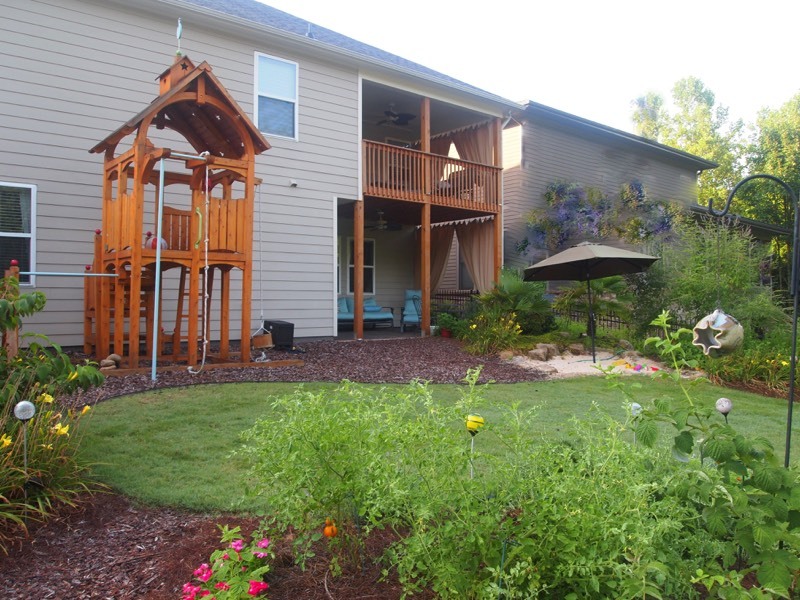 Your sanctuary garden will be designed to provide opportunities for all this and more. 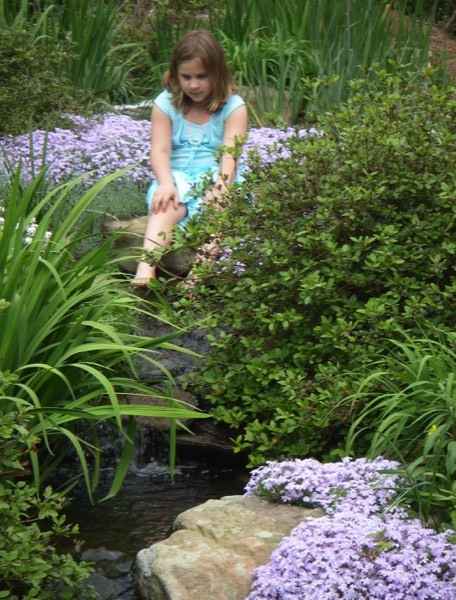 Many of our children’s nature play gardens are designed specifically for healing. 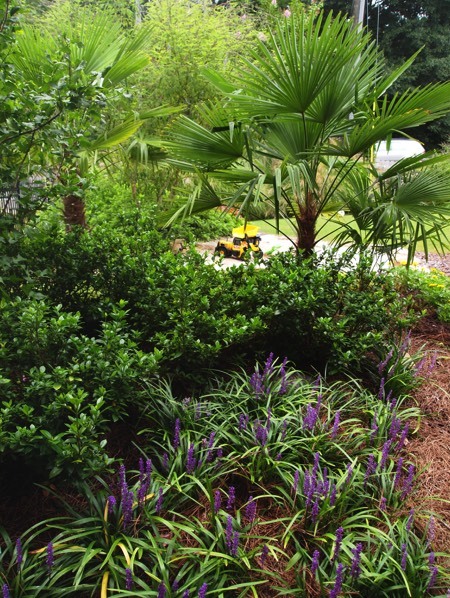 For example, we’ve created landscapes for autistic children ranging from lower to higher functioning autism. 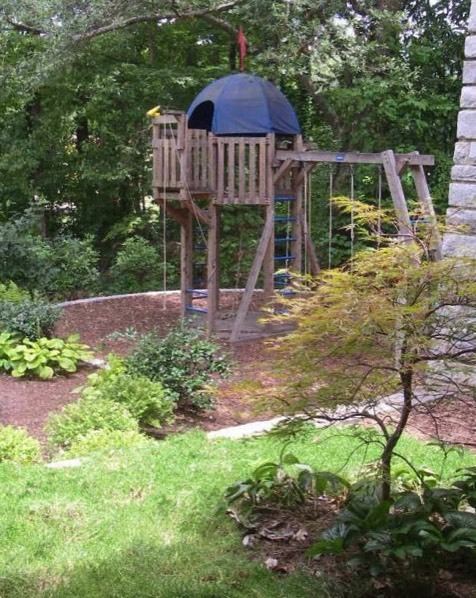 In one circumstance, to develop the yard around what gave that child comfort and joy, we provided many things that would spin and swing. 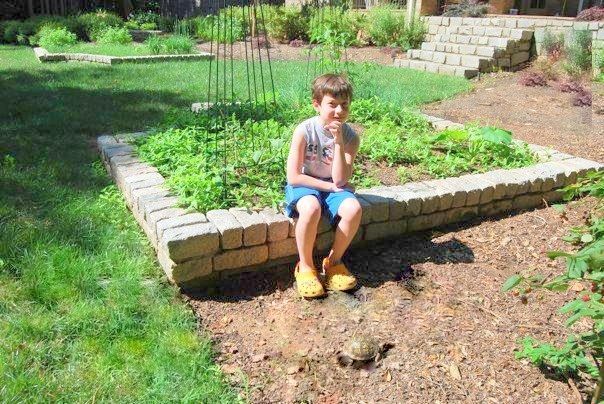 We then added lots of paved paths and seating areas thru the yard because he refused to walk on grass, mud or pine straw. 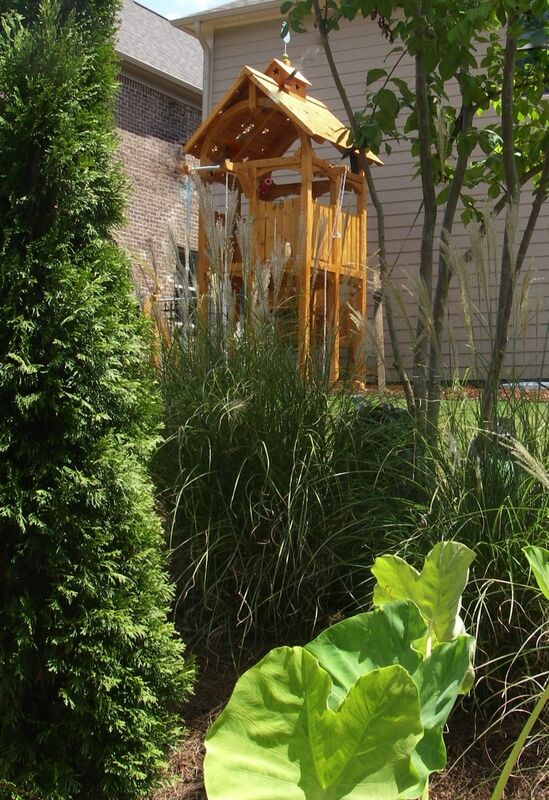 See some of the very creative spaces we’ve designed for the needs and desires of specific families. Most of these projects are designed to morph as the kids grow. For some projects we also preplan the conversion of the space for a maturing family or resale. 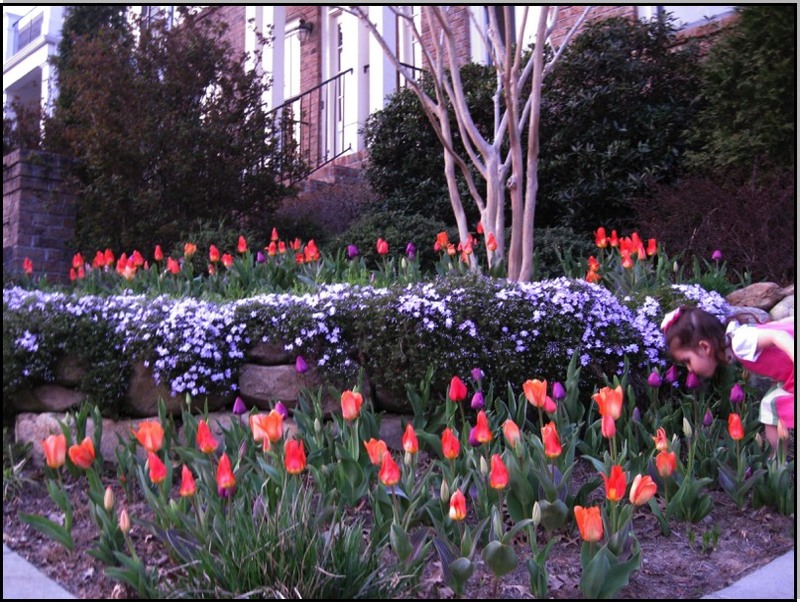 Get the kids involved by making their own list of what they would want in their yard. Let their imagination soar! Then let’s create it soon. They won’t be kids for long. 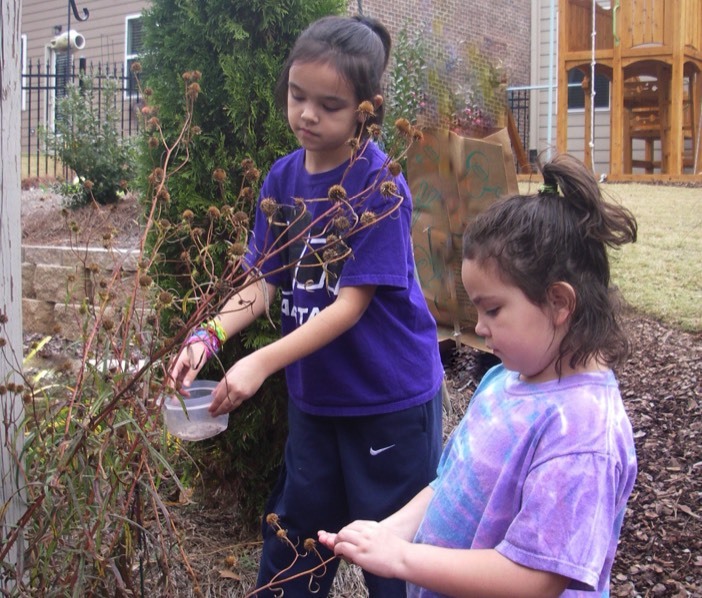 We especially love creating landscapes for nature play, discovery, learning & healing.Inspire hours of imagination and fun in your own back yard by providing opportunities for interaction with nature and a sense of adventure. 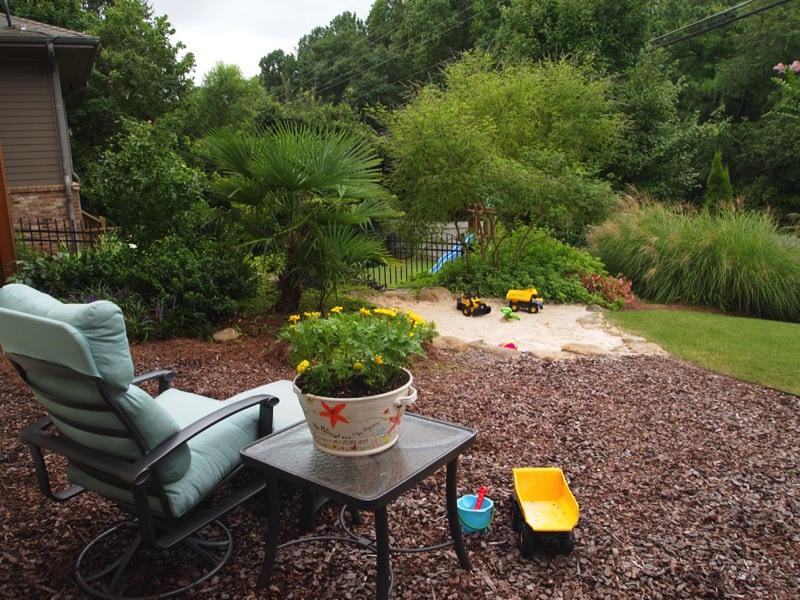 Let the kids explore their Atlanta back yard jungle hideaway or fantasize being princesses and knights in their lofty castle play set in the garden. 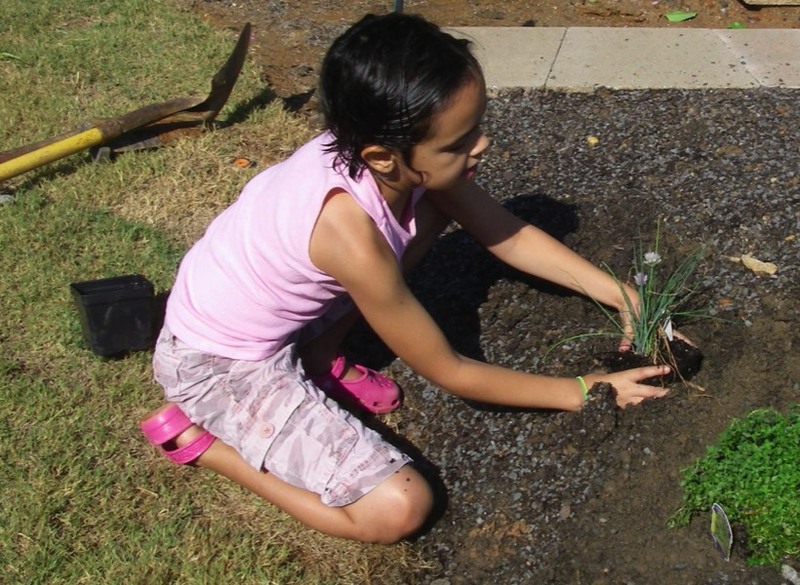 Give them places to dig such as a huge and deep tropical beach sand pit or their own organic edible garden where they can also learn how to plant herbs and veggies.